Spicemas Grenada: There’s Still Time to Plan Your Carnival Fun! With Grenada’s Spicemas Celebrations – our island’s unique version of Carnival – set to hit the full swing of things at the beginning of August, the island is starting to buzz with Carnival excitement. If you haven’t booked your Carnival travel yet, don’t worry! You still have time to plan your Grenada Spicemas getaway. Spicemas is a vibrant, fun-filled experience that will have you limin’ (a.k.a. partying) like a true islander. The events take place over multiple days and are a true celebration of island culture. Locals party alongside travelers, giving visitors a chance to explore a bevy of local traditions. 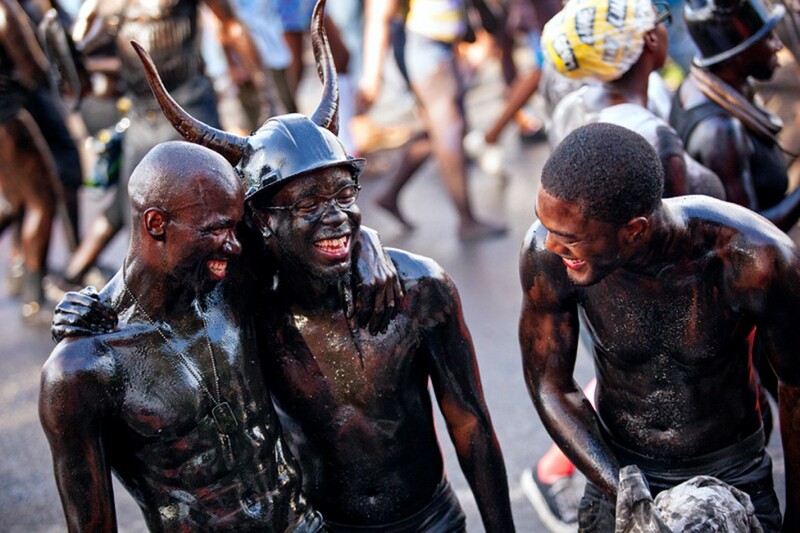 The main events of Spicemas include J’Ouvert, where participants dance in the streets in the early morning wearing horns and coated in oil, grease, paint, and even liquid chocolate; Pageant Mas, where costumed participants from each parish dance their way to downtown St. George’s while “Fancy” costumed bands march; Monday Night Mas, a party which occurs after nightfall, in which participants dress in bright or white clothing and are equipped with glow sticks; and Tuesday’s Parade of the Bands/Last Lap, in which the bands give one last showing. While the main two-day Carnival celebrations officially kick off on August 8th with J’Ouvert, many travelers choose to arrive in Grenada early to take part in the other events leading up to Spice Mas. The Carnival ramp-up begins August 4th with the National Queen Show, with other events including the Soca Monarch Finals and Panorama taking place over the next few days, making August 2nd or 3rd an ideal travel day. The fun in the sun leaves many travelers in need of recuperation, so be sure to plan to stay a few extra days to get in some R&R before heading home. There are many options for accommodations at Laluna when planning your Grenada Carnival adventure. If traveling with a group, we recommend renting a Villa at Laluna Estate. The five-bedroom villas accommodate up to ten guests, and their infinity pool, indoor-and-outdoor living and cooking areas, and resort access allows guests to enjoy a relaxing luxury vacation when they aren’t exploring the Spicemas scene. For couples visiting Grenada for Spicemas, stay in one of our boutique cottage suites for a week, allowing for time on either side of Carnival to take in everything that the resort—and the island—have to offer. If a week-long vacation just isn’t in the cards, Laluna’s Chillout Package allows guests to enjoy a quick four-night stay and then head home, full of Carnival memories! For more information on booking your room during Carnival—or for help planning your getaway—contact Laluna’s helpful staff.